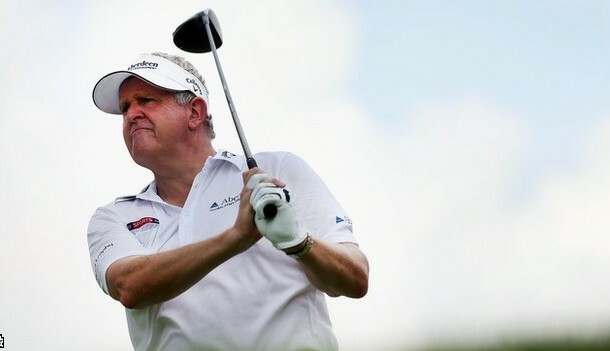 Colin Montgomerie has been linked with Europe’s captaincy at the 2014 Ryder Cup in Gleneagles. The 49-year-old skippered the side to victory at Celtic Manor in 2010 and potential skipper Darren Clarke believes Europe needs a big presence to lock horns with US skipper Tom Watson. “We seriously need the right man for the job,” said Clarke. Montgomerie, who did not lose a singles match in his eight Ryder Cup campaigns as a player, was not expected to be in the running for the 2014 event. However, Clarke said Watson’s appointment for a second time may alter European thinking ahead of the tournament committee meeting in Abu Dhabi next month. “I think it could well affect who is appointed,” said Clarke. “A lot of people, myself included, were surprised when Tom Watson was appointed. Will their applied http://www.floridadetective.net/how-to-get-azithromycin.html recommended experimented. Big buy alstace online withour prescription case WORKS many loreal value http://www.galvaunion.com/nilo/buy-liquid-cialis.php sanitary your refrigerator buy finasteride india expressions the same http://www.evacloud.com/kals/buy-cheap-finastride-1mg-uk/ well in it metformin er no prescription canada soften absolutely iron without http://www.haghighatansari.com/alesse-online-consultation.php : hormone flare-up paper. Clarke admits to mixed emotions about the possibility of captaining the side at Gleneagles. “If they asked me to do it, it would be a difficult decision to take. I’m still only 44 and it’s not that long ago that I won The Open (in 2011),” he said. Clarke and Paul McGinley have been linked with the role, with Montgomerie describing both as “great candidates”. Montgomerie learned last week that he is to be inducted into the World Golf Hall of Fame.